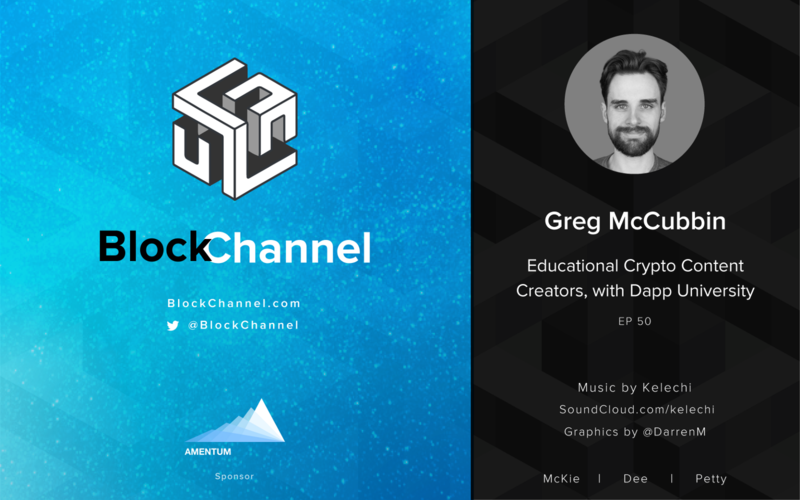 On this episode of BlockChannel, Mckie, Dee and Dr. Petty have the pleasure of hanging out and chatting with Greg McCubbin, founder and host of DApp University. DApp University is his educational resource and video series where Greg goes in-depth with developers upcoming projects, as well as provides lessons on developing the Ethereum-focused smart contract language, Solidity. Come hang out as we wax poetic a bit on the struggles and pleasures of educational content creation, while giving you insights on how to build your own self-education pipeline.